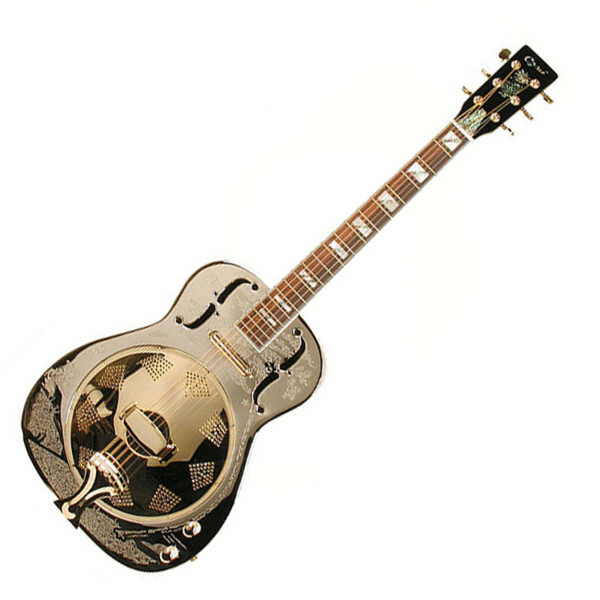 The Ozark 3515BTE is a thin body, nickel plated electro/acoustic resonator guitar. 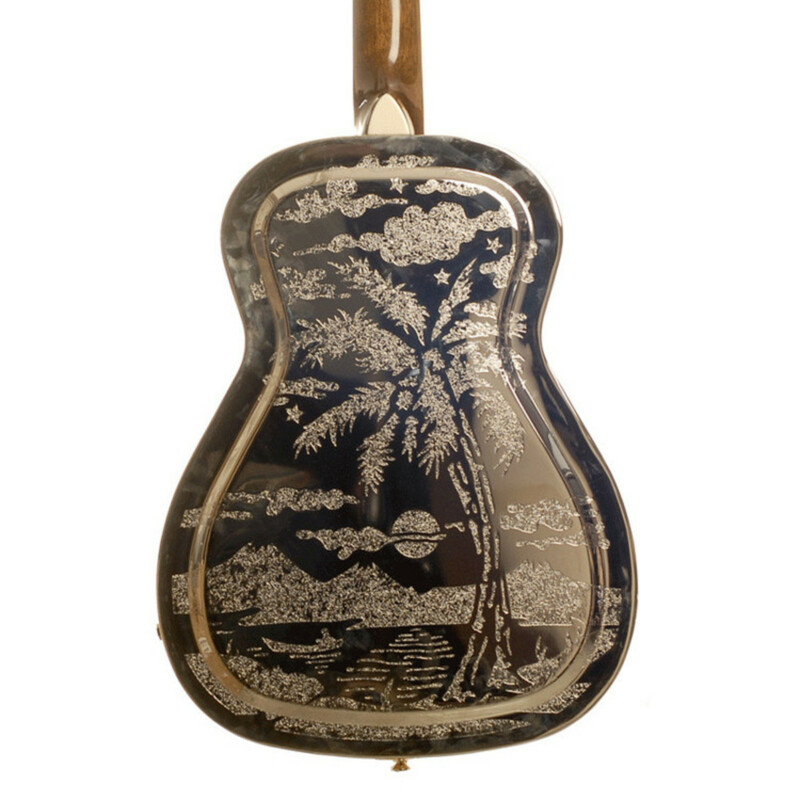 The impressively engraved body with dual F-shaped sound holes gives a large amount of resonance and projection whilst the fitted 'lipstick' style pickup adds versatility and sound modulation options. The Ozark 3515BTE gives a rich bluesy tone whether used acoustically or through an amp / p.a and is great instrument for adding a unique twist to ensembles.